For over 25 years, Costas and Rita Severishave worked hard to amass a rich and completely unique collection of visual representations of Cyprus from the 18th to the 20th century as seen by European artists. Its contents promote Cypriot cultural heritage within a framework of peaceful coexistence. In 2014, this remarkable collection found a home in a renovated flour mill right in the historic centre of the divided Nicosia. The renovation was made possible with help from USAID, EEA & Norway Grants, UNDP-ACT and the De Minimis programme. This is a fitting location for the museum as it is a location that for centuries has been the main commercial axis of Nicosia. It was a place for socialising between all citizens and is often mentioned in the travellers’ narratives that are found in the museum. 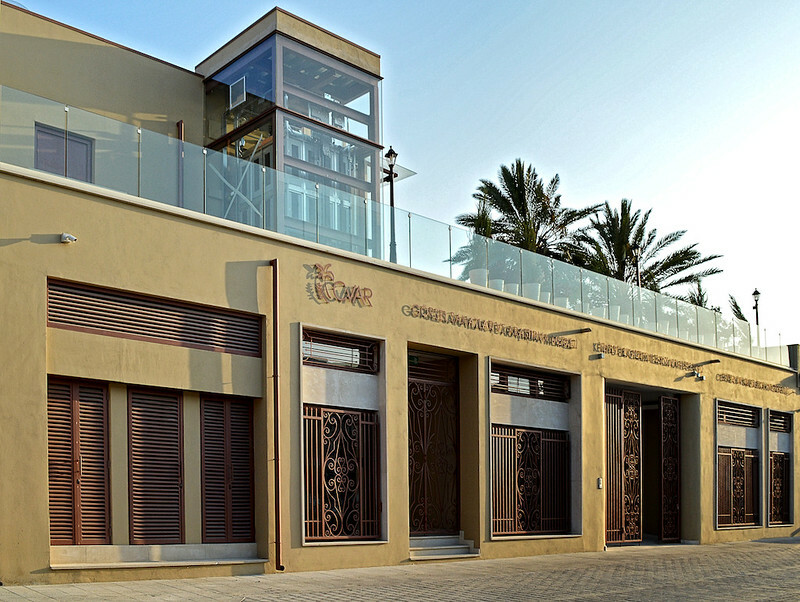 The Centre of Visual Arts and Research is comprised of a museum which spans four floors and houses over 1,500 paintings of Cyprus depicting its Greek and Turkish communities living together in peace, over 500 costumes and textile artefacts and numerous memorabilia. A research centre is found alongside the museum and is home to thousands of books and photographs concerning history, art and travel in Cyprus. In providing a permanent home for their collection, the Costas and Rita Severis Foundation aims to bring the two communities of Cyprus together by increasing awareness of their common heritage and history. The Centre is also dedicated to providing a forum for research and discussion in the framework of reconciliation and understanding among all communities of Cyprus. The Centre aims to demonstrate that for centuries the two communities lived peacefully together, irrespective of religion and culture, thus emphasising what unites rather than what divides the people of Cyprus. This is achieved by organising and hosting a multitude of events such as exhibitions, lectures, seminars and study tours. The jury noted that “this is a huge private investment for the good of Cypriot people and the people of Europe. It addresses a wide variety of areas and objects which has its basis in robust research and it has an interesting conservation aspect as the building which houses the museum is found in a symbolic location and was carefully restored. This combined with the important activities and research facilities it provides gives added value to this project”. “The Centre of Visual Arts and Research works enthusiastically to promote a better understanding of Cyprus’ shared heritage which has had tangible results in this bi-communal city and the transparent organisational structure ensures just representation of all community members which encourages a reconciliatory atmosphere”, affirmed the jury.